We know, there is already a National Dental Appreciation Day. However, we don't think a mere 24-hours is enough. Dental professionals are an important part of someone’s overall health and well-being. After all, nothing is more charming than a bright smile. So, we're going to celebrate you for the entire month of March! In honor of Brasseler’s Dental Appreciation Month, we want to highlight our most important asset: the dental professional! Check out all of our featured professionals and the story behind why they practice dentistry. Plus, weekly specials to celebrate the instruments our professionals can’t live without! 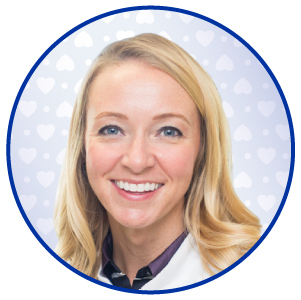 Meet Dr. Julia Baty: Julia Baty was born and raised in Tulsa, OK. Coming from a strong dental family background, she naturally wanted to be a dentist since 12 years old. She graduated the University of Oklahoma and moved to Florida to pursue her career in dentistry. Dr. Baty graduated from LECOM School of Dental Medicine. Moving back to Oklahoma, she served as a civilian dentist with a Native American Hospital. Dr. Baty is excited to be back in Florida to serve the Tallahassee community of all ages. Why Dr. Baty Chooses Brasseler: o I hated endo until I tried Brasseler’s ESX system and bioceramic obturation. The steps are simple and straight forward. I love the synchronization of the finishing file to match my gutta percha perfectly. Also, I love that the BC sealer is completely bioactive with the body and highly radiopaque on a radiograph. Additionally, I cannot practice without Brasseler’s burs and handpieces. The burs cut so smoothly with precision. The NL9000M handpiece head is perfect for all of my pediatric patients. The head is small enough for their tiny mouths and packs enough power to complete preps efficiently. Must Have Brasseler Product: I would not show up to work if I didn’t have my custom bur blocks. I like that they are made exactly the way I asked and it makes my assistant’s life easier and more predictable. I grew up in a dental environment knowing what it takes to make an office work from behind the scenes. My mom is a dental assistant and I was a dental assistant in West Des Moines, Iowa while I was earning my undergraduate degree. I went to dental school at the University of Iowa where we used products and materials that had scientific backing by peer review. I believe my patients appreciate my attention to detail at my relationship based practice. My favorite part of practice and dentistry is my patients. I see their needs and it drives me to learn more and do more. Dentistry is forever evolving, and I love it! I also love the comradery amongst dentist. It’s fun to get together at meetings and study clubs and connect. I’ve always loved going to the dentist as a child and was fascinated while watching my dentist work while I held a mirror. I knew from a young age that helping people is something that I enjoy and fulfilled me. My goal every day is to have patients feel the joy I feel from helping them through laughter. Why do You Love Brasseler Products? Brasseler products have always been reliable and very high quality. 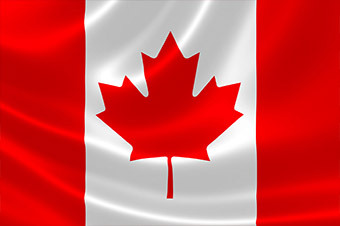 Their materials have been consistent and delivered on their promise. I’ve never been left with an unanswered question from my sales representative, Stuart, or when I’ve contacted the main office. Excellent customer service! Fun Fact: My wife Becki is an orthodontist! We met in dental school and have three amazing daughters. Must Have Brasseler Product: My Brasseler Mini Handpiece! I never knew I needed a mini handpiece until I got one, and would now hate to practice without it! I grew up in Oregon, and attended the University of Oregon; graduating in 1990. Upon graduation, I moved to Southern California and worked for 5 years before deciding to go to dental school. I moved to Pittsburgh and attended the University of Pittsburgh School of Dental Medicine, graduating in 2000. One main reason I went back to school to study dentistry was the ability to have my own practice and be my own boss. I have maintained a successful solo practice in the Robinson Township area of Pittsburgh since 2002. Being a dentist was not a thought that even crossed my mind while obtaining my undergraduate degree. It wasn’t until I worked in Corporate America for several years that I decided my current profession just wasn’t for me, and went back to school to earn my degree in dentistry. My father is a dentist and I had him to discuss this decision with. I always admired his professional work life, his practice and his ability to be his own boss. I love my Brasseler products because they make be a better dentist. With the composite polishers, I can achieve restorations that blend into the natural tooth and make it nearly impossible to tell a restoration was placed. The mini handpiece allows me to get to those tight areas to create the accurate and smooth crown margins we all are looking for. Fun Fact: I was the first in my family to graduate with a 4-year college degree and, my first son was 3 weeks old when I graduated with my DMD. Must Have Brasseler Product: Winter’s 1.5mm depth cutter!!!! I can’t live without this! Also, all of my diamond burs. I grew up an Air Force brat in Warner Robins, Georgia. I’m a University of Georgia bulldog at heart, where I attended the first 3 years of undergrad. In 2007 I moved to New Hampshire, and transferred to the University of New Hampshire where I received my BS in Biology in 2009. I then went on to earn my DMD at Tufts University School of Dental Medicine in Boston. During my time at Tufts, I was a member of the Alpha Omega international dental fraternity and was an Osher Scholarship recipient. I was one of few in my graduating class to complete early, and surpass clinical requirements -- all while being pregnant with my first son! I am a proud mom of two handsome and sweet boys, Abram and Everett; and wife to Kevin. When I’m not at work I am typically spending time at home with my boys! You can also find me playing the piano and singing as a worship leader at our church in Manchester, NH. I knew when I was 10 that I wanted to become a dentist. My mom went back to school later in life and, while she was in hygiene school, I happened across her instruments and decided it was a good idea to ‘play dentist’ and clean our dog’s teeth. That was my moment. My love for science, art, and people are what keep that same passion alive for me each and every day. Ultimately, I see my job as loving people first and, through that, I meet their dental needs. I think I have the greatest job in the world! I am always in search of products that make what I already do, easier; and, Brasseler products do just that! The Winter’s 1.5mm depth cutter shave off my crown prep time. When I first started practicing, I was finding it hard to be 100% positive that I had taken enough occlusal table for proper clearance and was spending too much time taking some, checking, taking more, checking again, etc. With this bur, I know the clearance is there and it takes me a fraction of the time. With the ESX system I’ve been able to accomplish some near impossible root canals with any other system. I was able to do an anterior RCT in 10 minutes start to finish! Brasseler makes my life easier and my practice more productive! Fun Fact: I love spending time in the great outdoors! Everything from boating, fishing, hunting, hiking, and landscape photography. You name it. If it gets me outdoors, then you can count me in! Must Have Brasseler Product: The EndoSequence file and obturation system. In my hands, it is very effective and the results successful. 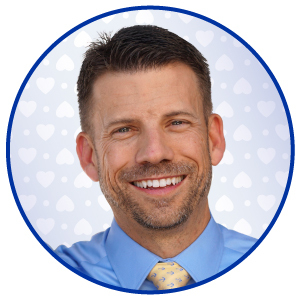 Dr. Jeffrey W. Lineberry currently lives in Mooresville, North Carolina with his wife and two boys and currently owns and operates a full-time restorative focused practice. 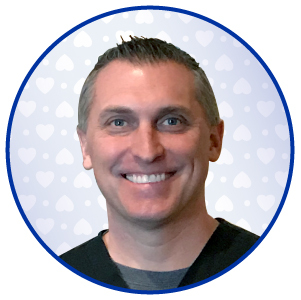 Outside of the office, Dr. Lineberry takes numerous continuing education courses every year as well as helping other dental colleagues learn and understand principles in occlusion, treatment planning and complex restorative dentistry. Outside of dentistry, Dr. Lineberry spends time with his family, enjoys the great outdoors and reads numerous articles and books each year. After obtaining his Bachelor of Science in Biology from Western Carolina University in 1995, he obtained his Doctor of Dental Surgery (D.D.S) degree from the University of North Carolina at Chapel Hill in 2000. In 2001, Dr. Lineberry began the pursuit of furthering his education by attending the Pankey Institute in Florida and completing all of the continuums, along with attending multiple other courses every year and has done so ever since then. In 2009, he obtained his Fellowship in the Academy of General Dentistry and in the International Congress of Oral Implantologists and was selected to become a lead mentor at Spear Education. In 2011, he became Visiting Faculty member at Spear education and is also involved with Spear Education Online as a Moderator for their online forum. In 2017, we became an Accredited Member in the American Academy of Cosmetic Dentistry (AACD) and is involved in several AACD committees. He is also a member of the American Academy of Implant Dentistry and American Equilibration Society. When I was growing up, I didn’t really know what I wanted to do! I enjoyed science, liked to help other people and work with my hands, so dentistry became an obvious choice. And, I haven’t looked back! I have a true passion to not only help my patients with their dental health, but also help them get healthier overall. My other passion that I have discovered along the way is learning and teaching! Outside the office, I take numerous continuing education course every year, lecture, teach and share with other dental professionals. I have used numerous Brasseler dental products over the years. I have become efficient with the EndoSequence file and obturation system. In my hands, it is very effective and the results outcome are successful. I also use numerous Brasseler burs over the years, everything from carbides for everyday cutting cavity preparations, diamonds for crown preps, straight attachments for a slow speed to trim, adjust and polish provisionals all the way down to the final polish of my ceramics with the Dialite system. Fun Fact: I enjoy going to concerts (favorites: Florida-Georgia Line and Backstreet Boys) and going on walks with my long-haired chihuahua, Zeebee. 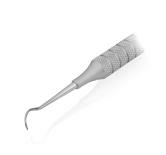 Must Have Brasseler Product: I hated endo until I tried Brasseler’s ESX system and bioceramic obturation. The steps are simple and straight forward. I love the synchronization of the finishing file to match my gutta percha perfectly. 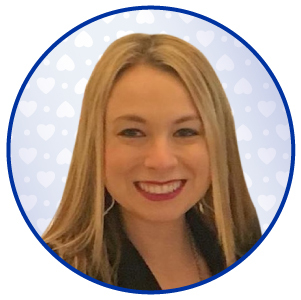 Julia Baty was born and raised in Tulsa, OK. Coming from a strong dental family background, she naturally wanted to be a dentist since 12 years old. 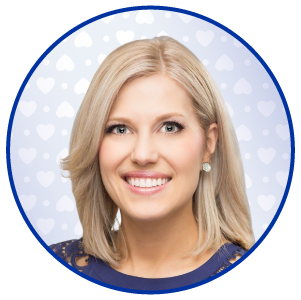 She graduated the University of Oklahoma and moved to Florida to pursue her career in dentistry. Dr. Baty graduated from LECOM School of Dental Medicine. Moving back to Oklahoma, she served as a civilian dentist with a Native American Hospital. Dr. Baty is excited to be back in Florida to serve the Tallahassee community of all ages. When I was in cheer, I was the flyer in the air. As I was twisting down, I did not complete my final rotation. My #8 & #9 collided with another girl’s shoulder. I had fractured #8 & #9. My coach put my tooth fragments in an envelope and called my dad to explain the accident. My dad, who is a dentist, brought me to the office after practice that night to fix my chipped teeth. I was amazed at the transformation. First, I learned about composite and the esthetics and art involved in dentistry. Secondly, I learned that I wanted to provide the same service for others like my dad provided for me that night. The accident was truly the biggest blessing in disguise. I hated endo until I tried Brasseler’s ESX system and bioceramic obturation. The steps are simple and straight forward. I love the synchronization of the finishing file to match my gutta percha perfectly. Also, I love that the BC sealer is completely bioactive with the body and highly radiopaque on a radiograph. 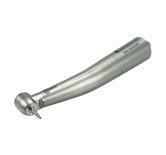 The burs cut so smoothly with precision and the NL9000M handpiece head is perfect for all of my pediatric patients. The head is small enough for their tiny mouths and packs enough power to complete preps efficiently. 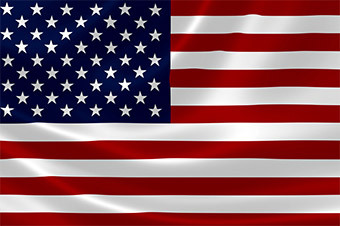 Customer Appreciation promotions are only available online at Shop.BrasselerUSA.com. Promo code must entered at checkout for savings to apply. Free shipping offer valid for standard ground shipping only. Minimum order amount required excludes taxes. Promotion runs until 11:59pm on March 31st, 2018.